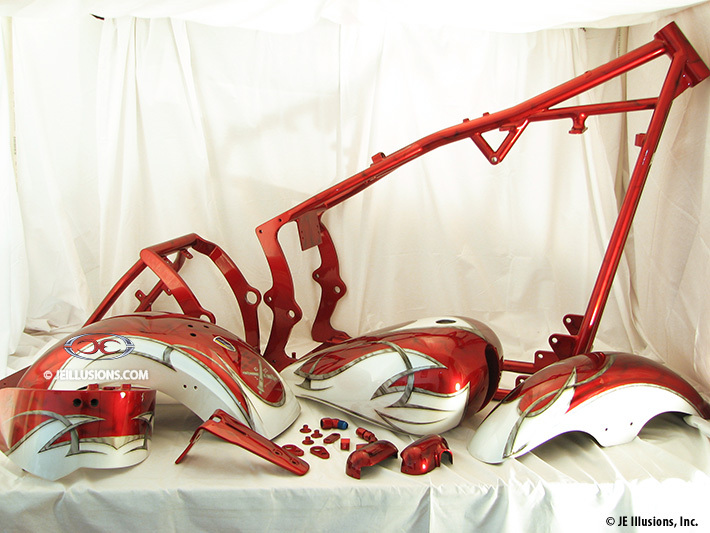 This full body paint design starts with a pearl white background. 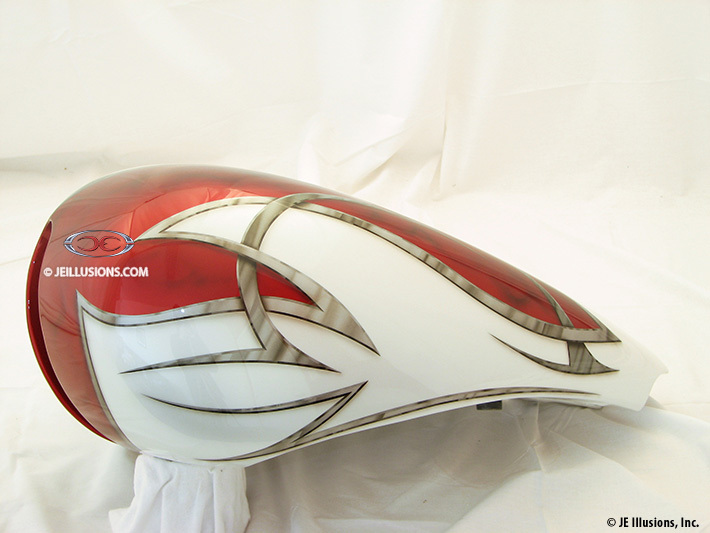 On top of this is a layered, hand-airbrushed beveled edge blade design with metal effects that run down both sides of the tanks and fenders. 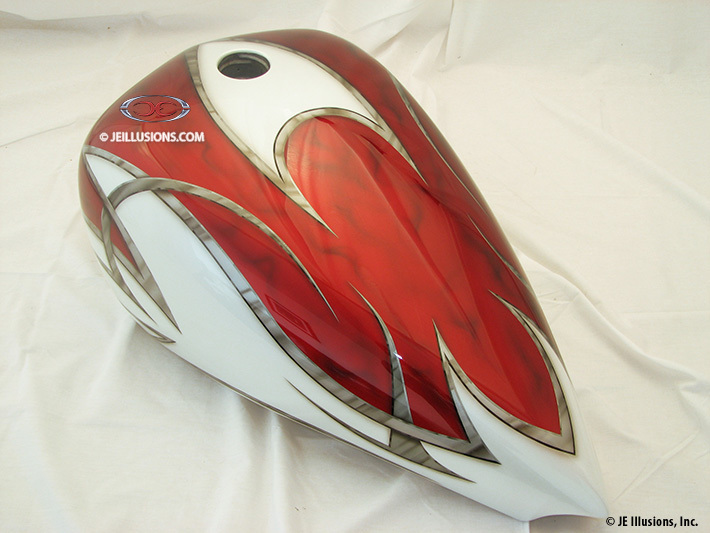 The blade design separates out the pearl white from the kandy apple red smoke effects that runs down the middle of this paint design. There is a slight shadowing effect where the blade design meets the pearl white. 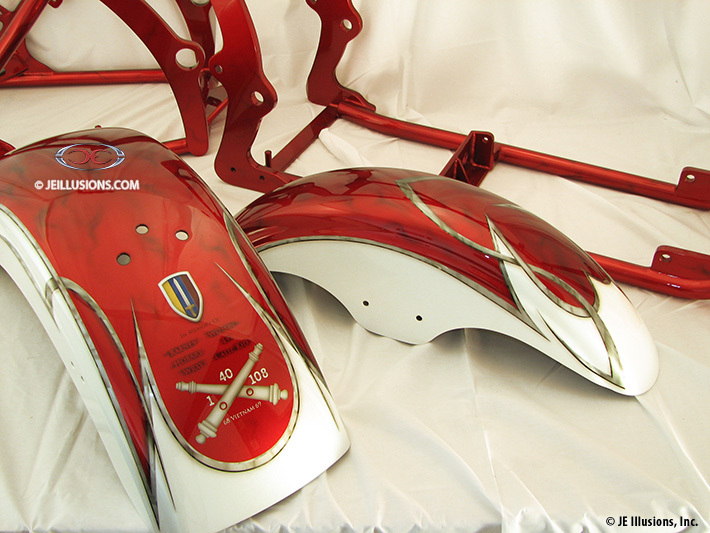 Located on the back fender is a very nice memoriam graphic with the names of lost comrades.